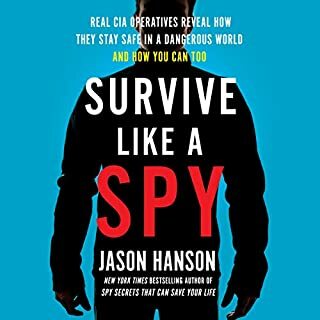 When Jason Hanson joined the CIA in 2003, he never imagined that the same tactics he used as a CIA officer for counterintelligence, surveillance, and protecting agency personnel would prove to be essential in every day civilian life. 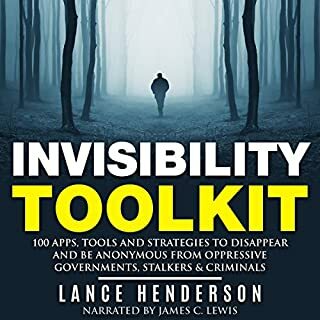 In addition to escaping handcuffs, picking locks, and spotting when someone is telling a lie, he can improvise a self-defense weapon, pack a perfect emergency kit, and disappear off the grid if necessary. He has also honed his "positive awareness" - a heightened sense of his surroundings that allows him to spot suspicious and potentially dangerous behavior - on the street, in a taxi, at the airport, when dining out, or in any other situation. 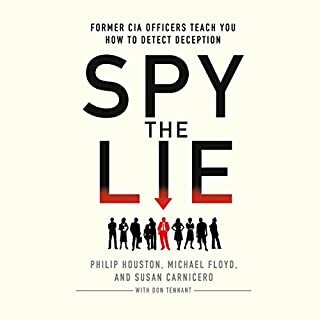 I am really glad that I listened to this book. 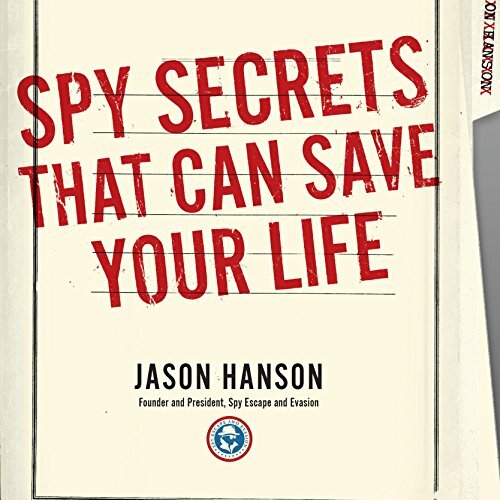 Hanson offers simple, step by step insight into personal safety, awareness and preparedness. These are teachings that you can use immediately and will change the way to function on a day to day basis. Several years ago my husband and I had an experience in a city parking lot which could have been deadly. I was driving the car and had backed into a parking space. I had put the car into drive as I was going to pull forward and reposition it in the spot. On driving into the lot I saw a person crouching down between two parked cars. Immediately a different person, a large man wearing a bulky jacket unbuttoned at the top approached our car on the passenger side. My husband lowered the window. The man explained that he had just been released from the local prison and that we were "going to solve all his problems today by giving him all our money". We usually don't carry much cash. My husband explained this. Instantly I noticed the man gesture and the crouching person stood up. The man at the window reached into his jacket and I saw the beginning of a metal object in his hand. A gun. This all happened so quickly--just a flash--but I could picture my husband being shot in this parking lot. Suddenly I noticed that the car was still in drive and my foot was on the brake pedal. So I took my foot off the break and floored the gas racing out of the lot and onto the street and drove away as fast as I could go. The two people chased the car. My husband was horrified by my action. When I occasionally tell this story people tell me that my behavior was reckless----even dangerous. I have often wondered about this and questioned my automatic reaction. 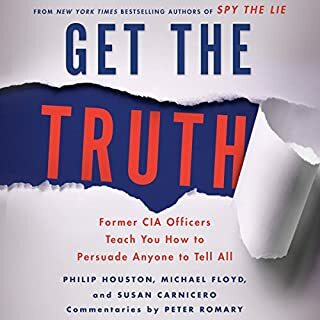 Now that I have listened to this book I know for a fact that I did the right thing. First I had situational awareness--I had seen the second person, second I got "off the X"--meaning I moved, third I did what was not expected, and last I was not impacted by the normalcy bias. These concepts are all clearly and simply explained in the book. Plus these ideas only scratch the surface of what this ex-CIA officer has to offer. I think this is a book that everyone needs to hear. Yes, it is scary to think of all the possible dangers that exist these days--but I would rather have this knowledge than not. An excellent, sensible and insightful guide. Really worth the time spent listening. Pretty amazing. I am glad the author narrated this title himself. Both the narration and content are amazing....I definitely want to pass the book around to family and friends. Lot of stuff I considered to be common sense (but then again nowadays...) but also much more. 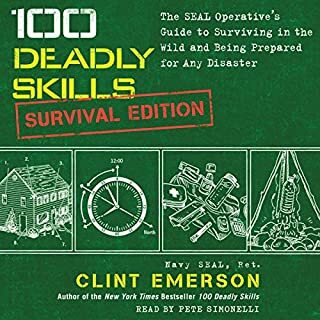 The skills and knowledge shared in this book should be part of everybody's "life toolbox". Great tips for legal ways to still be able to defend yourself. Also a good reminder of how survival, not being a hero, is best. The short stories with each tip are very helpful as well. This book is a must for everyone of all ages ... Especially women because they are usually the easier target. I promise you won't regret buying this book. It could literally save your life. Really very inspiring an amazing story of self survival in a world that has changed. The advice here seems a bit paranoid and oversimplified. Like the advice to carry a pistol and 50 rounds of ammunition wherever it is legally allowed. Also a bunch of knives, para cord, lock picks, handcuff keys and a tactical pen. I can pick locks myself and I can testify that his advice on picking locks is very rudimentary. The advice on getting out of handcuffs, ropes, duct tape is nothing that you can’t see on you tube. The rest of the stuff is just him telling you to watch your back. He even gives the advice that you shouldn’t text with your phone because it requires you to lower your guard. That’s just paranoid. I’m not even going to finish this short book and I’ve put in for a refund. The book is a waste of time and I doubt this guy was ever in the CIA. Reading this book has allowed me to change the way I view my surroundings. I don't carry a tactical pen. Yet. But I have made some small changes to my behavior that has given me a modicum of peace of mind. 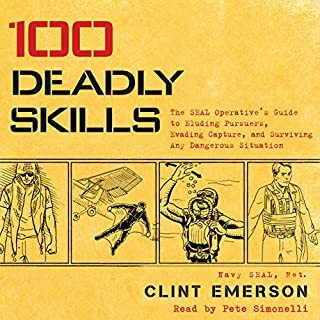 Great information here, some I knew from my own military training, and some of it was new to me. I really enjoyed the book and hope there is more to come in the future.